This week’s National Audit Office report lays out some worrying figures surrounding teacher recruitment, retention and development. Only 74% of secondary music teacher training places were filled in 2015/2016, putting music in the lower percentile of subjects hitting recruitment targets. There has been a rise in the number of classes taught in secondary schools by teachers without a relevant post-A-level qualification. The report also notes that bursaries for music teachers will be reduced in 2016/17. 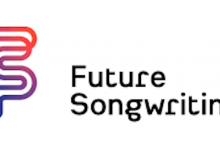 This reflects a growing trend Musical Futures is witnessing of ‘generalist’ teachers (i.e. 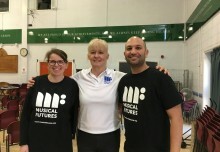 not music subject specialists) accessing Musical Futures professional development and resources. The Just Play programme was created to support primary teachers responsible for music in the curriculum but who don’t feel confident or skilled enough to deliver as well as supporting music co-ordinators, primary music specialists and secondary music teachers. After a lengthy development phase involving teachers, schools and other partners, Just Play aims to demystify the process of using a Musical Futures approach to teaching and learning in the classroom via unpicking and scaffolding the processes and practices of music facilitation. ‘Can you only teach music if you are a trained music educator’ was the subject of a debate at the Music Learning Revolution conference in October 2015 revealing polarized views with the ‘teacher’ on one side and the ‘musician’ on the other. Our concern is that fewer music teachers means fewer young people having access to quality music learning in schools. We will host a special #mufuchat on this topic on Wednesday 17th February, 8.30pm GMT for teachers, students, academics and others working in music and education to share responses and solutions around this issue. Please join the debate.